Put your receivables on autopilot. Create a seamless, intuitive, and automated collections and payment experience with Receivables Automation. 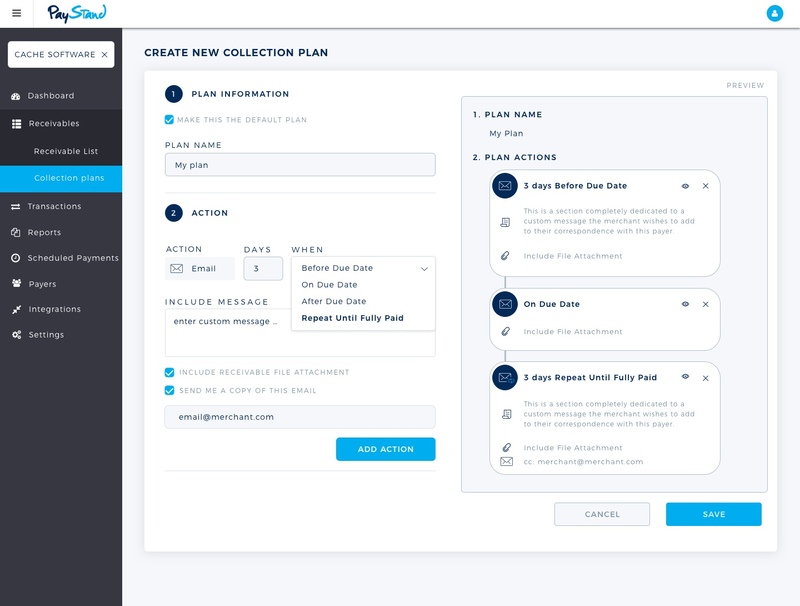 Remove friction and pain in your entire Collections process with a fully automated communication suite. 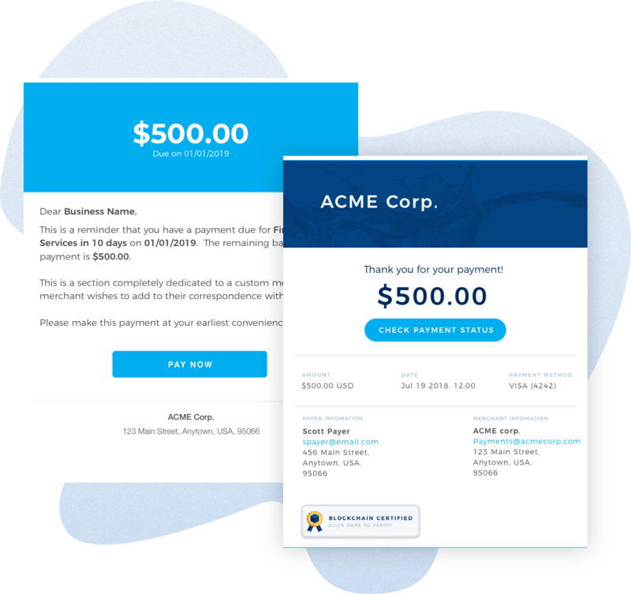 Embed digital payment capabilities directly within your communications and invoices. Impact your bottom line immediately by enabling quicker time-to-cash and focus your team on strategic initiatives. 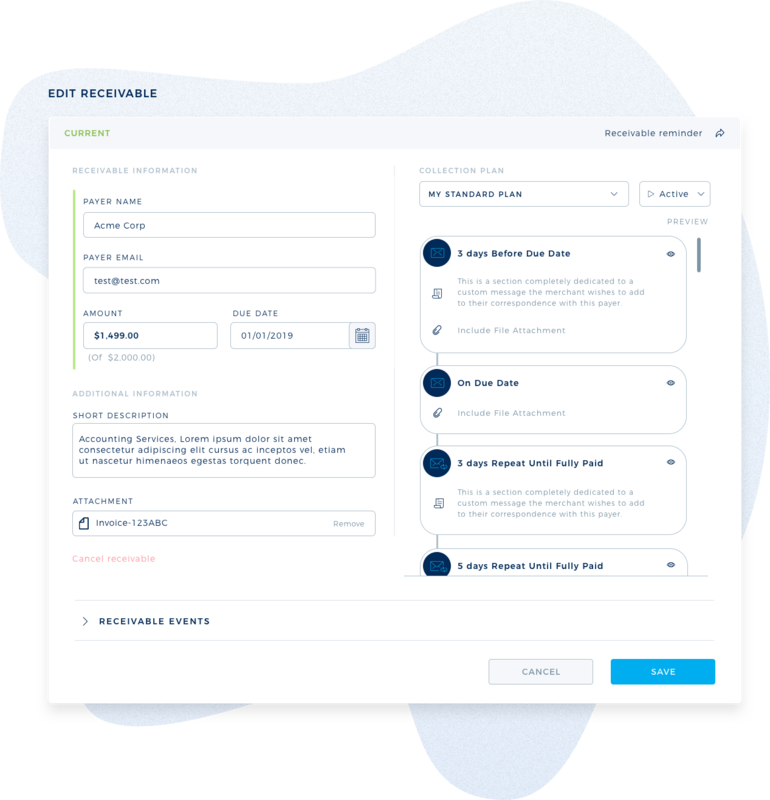 Receivables Automation enables near effortless invoice collections with highly customizable workflows to empower your team, Revenue Operations, and enterprise cash cycle. 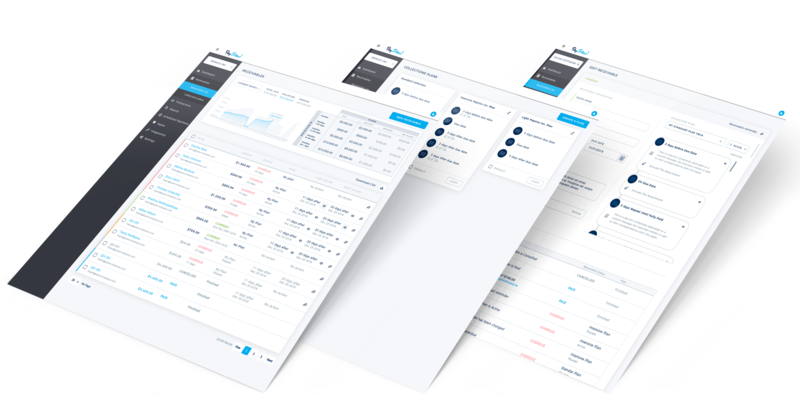 With Receivables Automation you can track all your Invoices, Receivable Notes, or other types of Receivables in one intuitive, powerful dashboard. Quickly see your collected and pending receivables using standard or custom time periods and group your receivables into categories based on status and type. 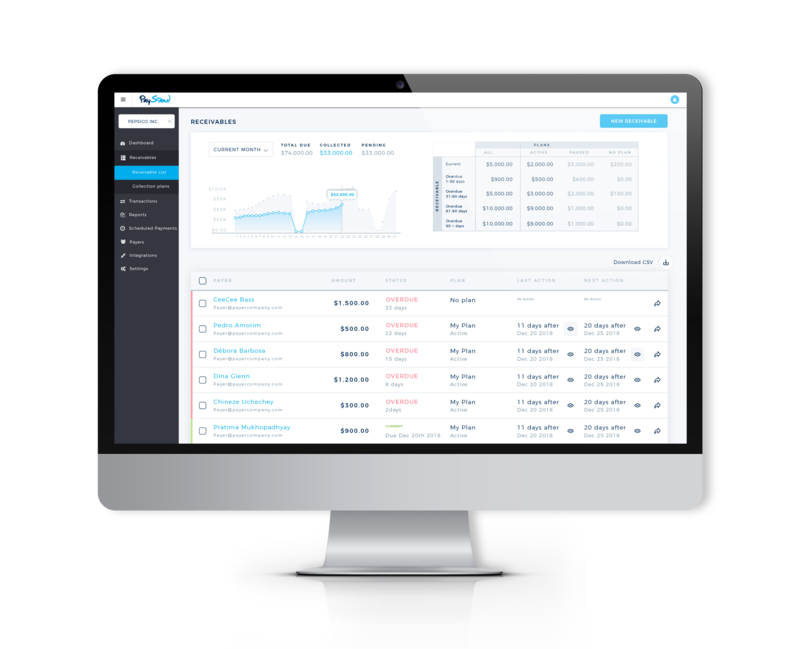 Get the clearest picture of all your receivables, all in one place at your fingertips. 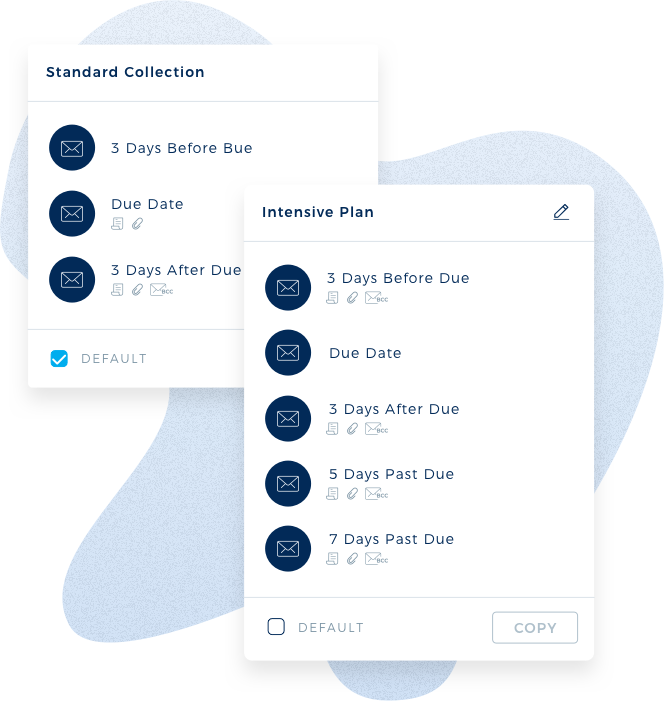 Use the intuitive Collection Plans feature to easily define email communication workflows that can be assigned to your receivables. Our intelligent automation functionality lets you stay ahead of the monthly collections process by ensuring your customers are aware of upcoming invoice dates and necessary payments. Use standard, out-of-the-box templates or build your own unique communications. Choose the frequency and tone of communications to match the risk profile. Create as many Collections Plan as you need based on payment categories and type of receivable. Our Receivables Automation functionality goes far beyond simple email communication. Create and edit all receivables and easily capture critical data within the Receivable itself. Your team can track and securely store information about the Receivable, all tied directly into its associated Collection Plan (standard or custom). Pause or enable associated workflows from with the Receivable itself and see any associated payment events or communications. Combining the power of the PayStand digital payment network and our Receivables Collection Engine, your customers are able to make payments directly from the invoices, emails, and reminders they receive. 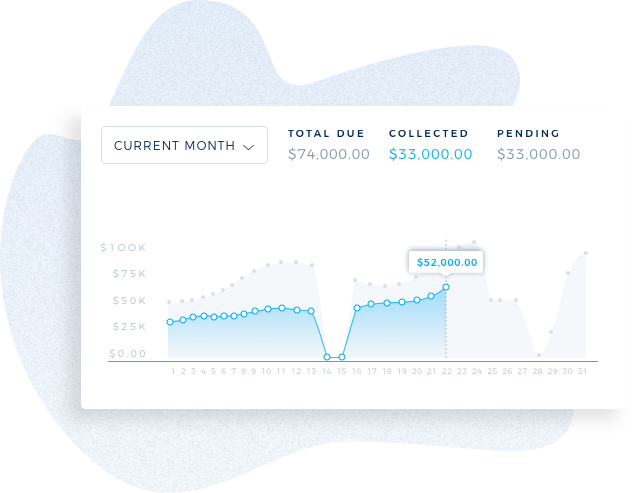 Receivables Automation up-levels your entire Collections process so that your workflows not only help remind customers to pay, they also provide easy ways for them to pay immediately. Embed payment links within your communication and realize the potential of truly automated Collections. Determine the frequency and nature of communications. Set alerts and actions that automatically trigger based on Receivable information such as due date. Include attachments and custom messages to ensure context and trigger action. Create a better experience for your customers and your team using today. We’re excited to now infuse the power of Receivables Automation within our existing PayStand digital payment platform to improve our A/R processes, saving time and money! Remove the friction and expense of monthly collections and give your customers a better payment experience. Receivables Automation uses automated workflows and intelligent process automation to eliminate repetitive, tedious, and highly manual collections. Talk to our team today to create an entirely seamless Collections experience!